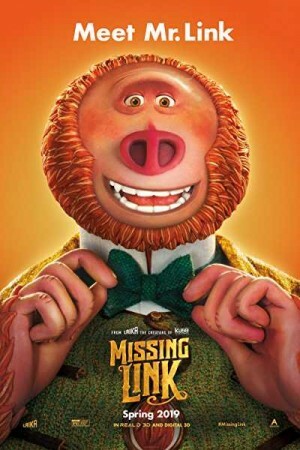 Missing Link is an American stop-motion animated adventure film that follows the exploration hunt of Mr Link looking for his family after having lived a solitary life in the Pacific Northwest. The 8-feet tall, fur-covered character recruits Sir Lionel Frost, a fearless explorer, to guide him on his journey to the fabled valley of Shangri-la in search of his long-lost relatives. On their journey, they meet adventurer Adelina Fortnight and the trio faces a fair share of peril as they travel across the world’s far reaches. Does Link succeed in finding his relatives and where the voyage leads him to follows the rest of the story?